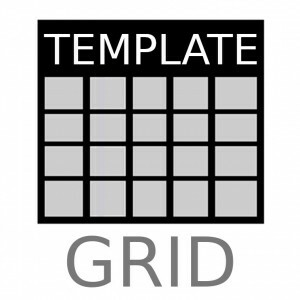 The template for the module, designed to display in the form of a grid of combinations that are made by two attributes, for example, size and color. 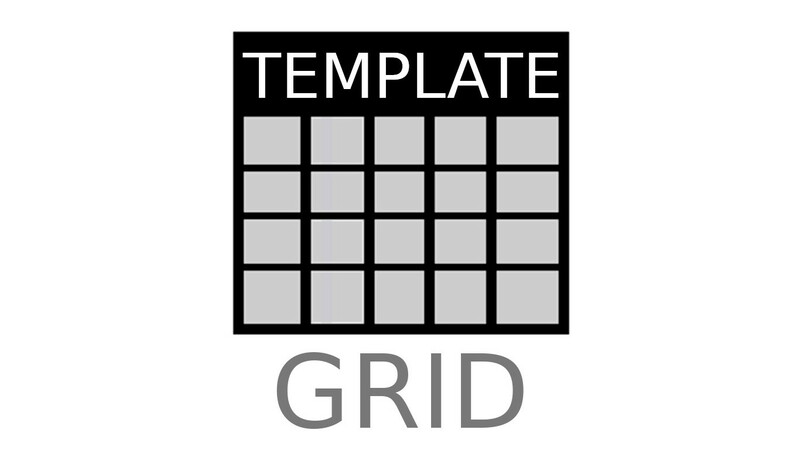 The «Grid» template for «Viewing product combinations in a table» module is designed to display in the form of a grid of product combinations that are made by two attributes (for example, size and color). At the intersection of two attributes there are the field for entering the quantity and information about the price, availability, cost. 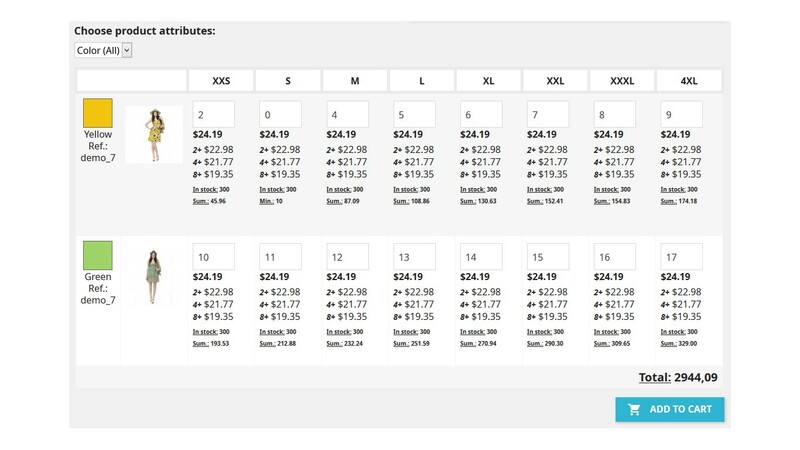 The module is useful for wholesale, for example, to sell t-shirts with different color and size. A convenient way to buy wholesale. Proposal of a convenient way of selling products wholesale. Installed module «View products combinations in a table» v3.10.0 or higher (the module is sold separately from this template). The ability to unzip the archive with the template into the directory with the installed module. Everything that allows the template is visible in the image. Combination attributes other than size and color will not be displayed in the table. Some options of "Product combinations in the form of a table" module does not work with this template. For example, in this template there is no indication of availability of products and, accordingly, the option "Product available" column and the option to display the "block of product availability indicators" will not work.